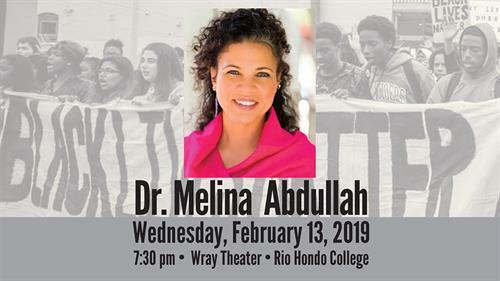 Come listen to Black Lives Matter Founding Member Dr. Melina Abdullah, Professor and Chair of Pan-African Studies at Cal State LA. Dr. Abdullah is a recognized expert on race, gender, class, and social movements. This lecture will examine the interracial alliances and coalitions that have been successful in the past and the prospects for Black-Brown solidarity for the future.